By looking at market trends, it's easy to see that smartphones are becoming bigger and bigger. Not only has overall processing power, memory, and storage been on the increase for years, screen size in particular has become a major factor for mobile users decided which smart device to buy. For many, this is a good thing -- bright, shiny screens allow us to better enjoy the media, apps, and games we love. However, some users still long for a day when phones were small, simple, and cheap. Luckily, there's a new phone on the market aimed straight at that sort of consumer, and it's called Jelly. Jelly, created by Chinese manufacturer and design company Unihertz, is a phone that was first introduced through a Kickstarter campaign that managed to earn over $1,250,000 throughout it's campaign. It's meant to be small -- very small, in fact, as the Jelly measures 3.6" on its longest side and just 1.7" wide and weighs only 2.1 ounces. The Jelly also has a startlingly-small 2.45-inch screen sporting an outlandish 240x432 resolution, which is about on par with the resolution of Video CDs, a 24-year-old technology. Though its size is diminutive and its screen is markedly old-school, the Jelly still packs a surprising punch under the hood -- the phone has a quad-core 1.1GHz processor, up to 2GB RAM and 16GB storage, and runs the absolute latest version of Android,version 7.0, codenamed Nougat. Beyond this, the handset also features support for two sim cards, a microSD expansion bay with support for up to 256GB storage, built-in GPS, an eight megapixel rear camera, and a two megapixel front-facing camera. Naturally, these specs aren't about to rock anyone's socks off, but that's not exactly the point. 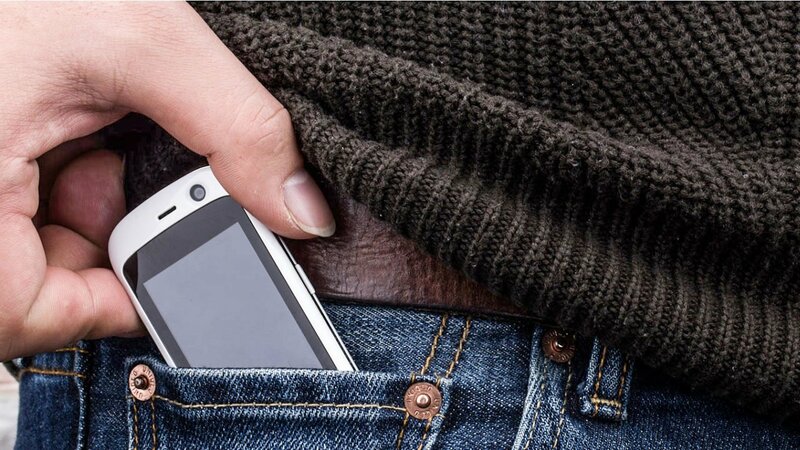 The Jelly is meant to be a small-but-serviceable mobile phone for the masses, and as such, Kickstarter backers were able to secure their own Jelly devices for as low as $79. The Pro model, which offers double the RAM and on-board storage, is just $95, which easily makes the Jelly one of the cheapest unlocked devices on the current market. Since the Jelly's Kickstarter campaign has ended, Unihertz has begun the process of shipping out their phones, meaning consumers are just recently getting the chance to check out the device. For everyone else, however, there's no word just yet on where the Jelly can be purchased. So, all of those users who wish to have an impressively-tiny phone or a cheap-and-modern device they can use as a secondary travel phone, we'll just have to wait until Unihertz can start putting Jelly phones up for sale to the public. Looking for some great games that won't put a dent in your savings? Check out some of the fantastic freebies we've featured on our list of the Best Free To Play Games.